Ubud is one of the top holiday destinations in the world, If you are looking for a remote hotel within peaceful nature, luxury and culture, Puri Gangga Resort is the ideal choice for your next holiday to Bali. 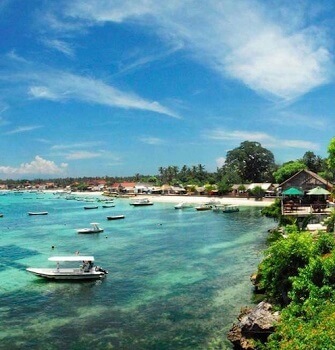 Bali is one of the top holiday destinations in the world with more than 4 million tourists visiting every year. The Island of the Gods is well renowned for its luscious tropical nature and stunning beaches, however the main tourist towns like Kuta, Ubud, Sanur and Seminyak can be fairly busy during the high season and traffic can slow down getting from place to place. Not exactly what you had in mind right? 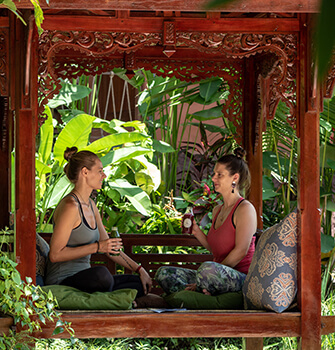 As Bali’s artistic and holistic center, Ubud is a popular spot for travelers wanting to relax, heal, connect to nature and experience Balinese culture. Ubud is in a strategic location. Being centrally located on the island, staying in Ubud gives you convenient access to the beaches in the south and a quick route up to the north of the island. Exploring north of Ubud is certainly taking the road less travelled, away from the hustle and bustle of the town you will see mountains, lakes and spectacular rice fields - it is where the wildest and most pristine nature and villages lie. So, where to go? If you are looking for peaceful nature, luxury and culture altogether, Puri Gangga Resort is the perfect choice for your next holiday. The charming boutique resort, opened in April 2014, is located 30 minutes north of Ubud close to the emerald green rice terraces of Tegalalang and the hot springs of the volcanic caldera next to Kintamani. 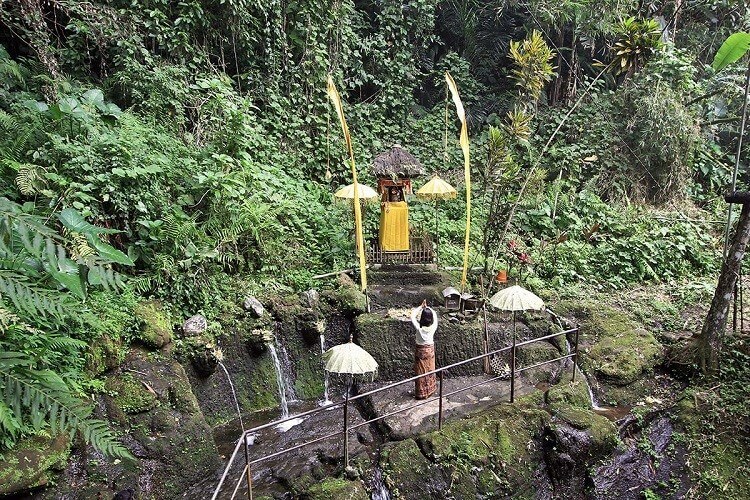 An idyllic location where you can enjoy and feel the magic, the spirit and the serenity of the Bali. Puri Gangga doesn’t only have that feeling of ‘home away from home,’ but also that ambiance of a ‘home in a living culture,’ of the sacred and timeless Balinese culture. Here, at Puri Gangga you can experience Balinese culture in all its blissful facets. The resort is located in the unique traditional Balinese village of Sebatu, close to the so-called “rocky temple” Gunung Kawi – sebatu, where its known for its purification place and its fish pond where hundreds of fishes live freely. Every morning Puri Gangga staff organises a morning walk to the sacral purification at the temple, a perfect way to start off your day. For those of you craving adventures, you could try the downhill cycling, a trekking trip followed by a picnic in the traditional village. For artsy travellers, there are so many activities to try like learning Balinese dance, traditional instruments, handicraft workshops and cooking classes. 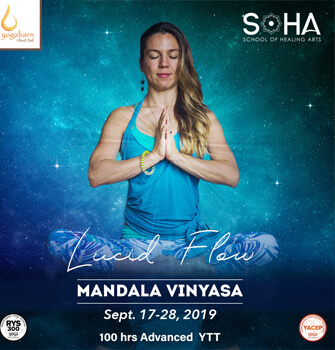 Puri Gangga also offer yoga at the onsite Moya Yoga Studio, to truly open your mind and spirit! Puri Gangga offers a vast range of rooms to choose from, for all the budgets and needs. 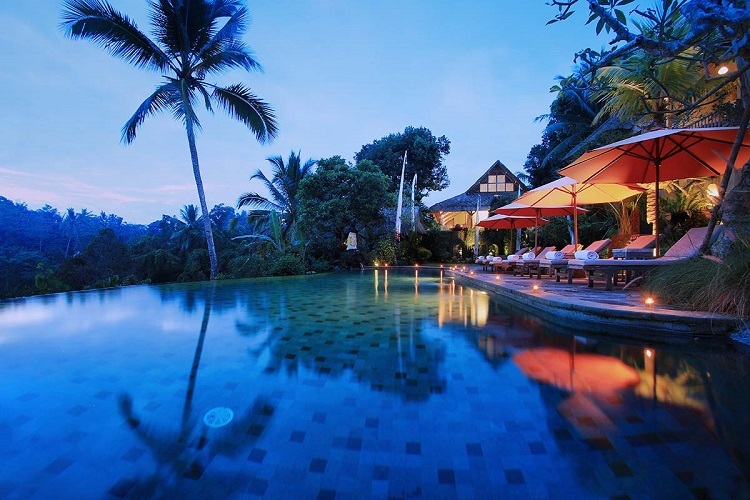 Including, deluxe rooms, suites, garden villas and pool villas with a unique view over the emerald rice fields and the luscious hills. 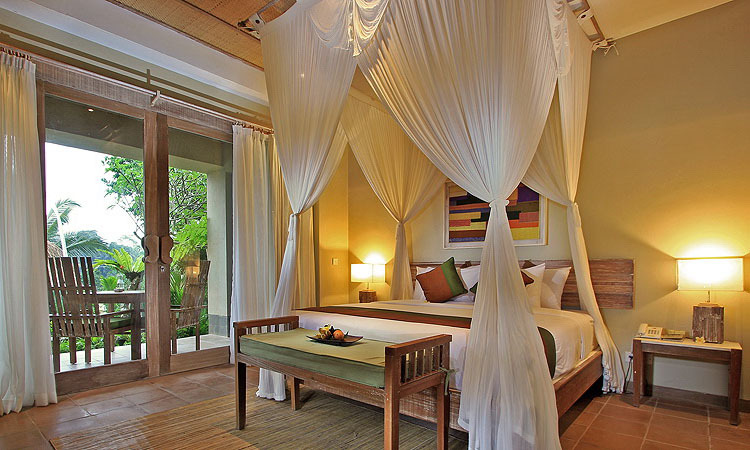 A dreamy place to let yourself go and be pampered by what Mama Bali can offer. 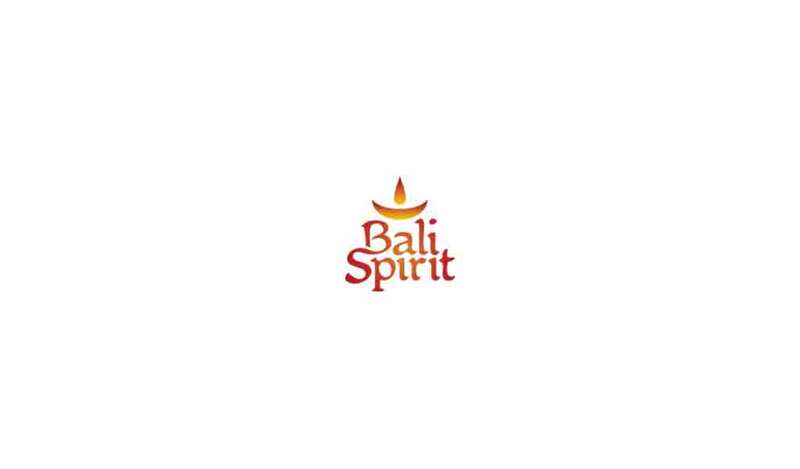 Let’s not forget about the food: here you can taste the richness of Bali’s herbs and spices. 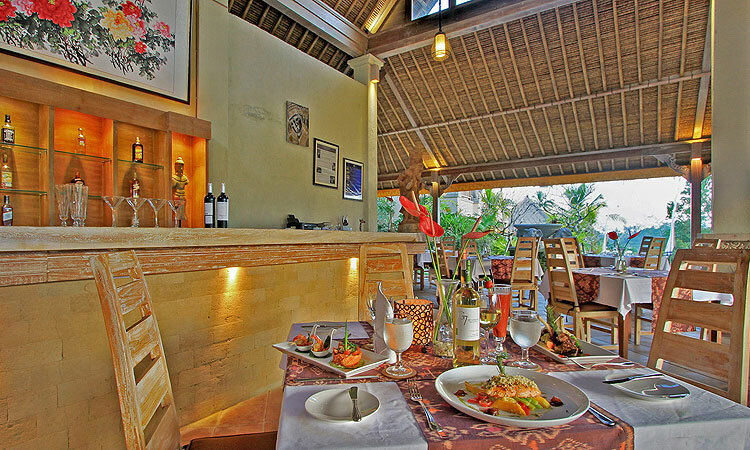 Puri Gangga’s main restaurant, Kailasha restaurant is designed to be one of the best dining place to satisfied your meals desire, they serve the best food with the best herbs and spices that Bali could offer. With a magnificent view to the nature and surroundings, Kailasha Restaurant is your designated place to be. They serve food from local, western to vegetarian, all in one place, so what are you waiting for? Last but not least, the best place to spoil yourself: the Puri Gangga’s spa! 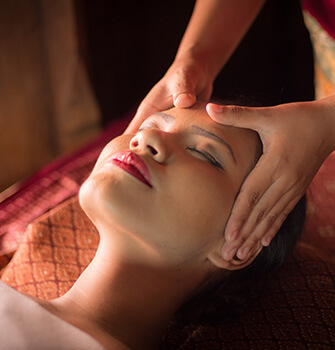 Dewi Gangga Spa is one of its kind, a dreamy cozy nest surrounded by nature, where you get to immerse yourself in the healing scent of herbs and essential oils, under the expert hands of Balinese masseuses. 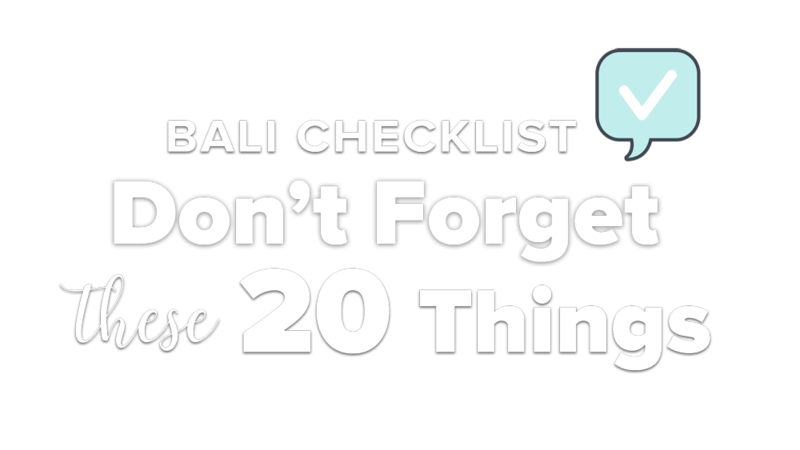 Well, this is pretty much why we love Bali, where else you can have the chance to feel at home in the tropical jungle while also getting pampered and discovering local culture? Puri Gangga offers the perfect mix for a well-rounded Bali experience. Off the beaten-track, immersed in nature and in the local timeless culture, but still with that touch of luxury that will make your stay unforgettable and special. Are you already on the plane? !